I admit I’m not a jewellery person. I realised this after years of buying things like bracelets and necklaces and then not wearing them. When dressing myself, it rarely occures to me to add some, because it usually feels unnecessarily ornamental, and takes away from the general simplicity of my wardrobe. And when I do decide on something like a simple gold cuff or chunky chain necklace, which I wanted for a long time, i am constantly aware of wearing it and fidgeting with it. It’s possibly just one of those things you like on others but not on yourself. It’s partially also due to some bad luck – for example my pierced ear heals the moment I take out my earring for more than a week (no matter how long I’ve been wearing the earrings up to that point), so I just gave up bothering to get it pierced over and over again. I also had a very simple, very thin gold chain, which mysteriously vanished during a walk on the beach one summer holiday. So for years I just gave up on jewellery and decided it wasn’t my thing. 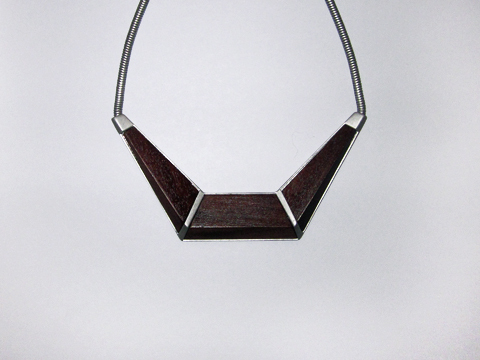 Recently though, I fell in love with a lovely necklace from COS featuring graphic wood elements (I generally love COS designs, due to it’s simplicity and graphic quality). Something about the natural matte texture that breaks up the shine of the metal and the unusual shape, appealed to me. I also really liked the way it looked with my usual wardrobe colours and casual navy jumpers or crew-neck sweaters, so it wasn’t just something that just looked good in picture, but it was even better in person. 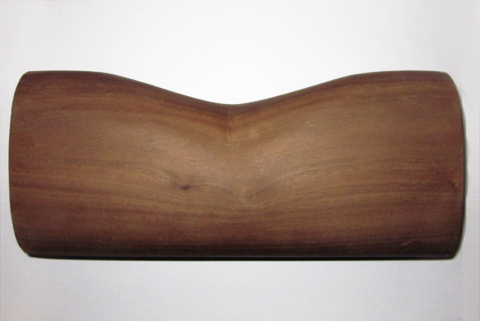 Some time ago I also noticed a lovely wooden clutch from the French Connection, and although I liked the shape, I did not like the type of wood used, nor the shiny finish. So my boyfriend made a slightly bigger version in slightly different shape, using superior wood (walnut), and leaving it matte. I love this shade. And best of all, it complements the wooden soles of my black patent-leather brogues. 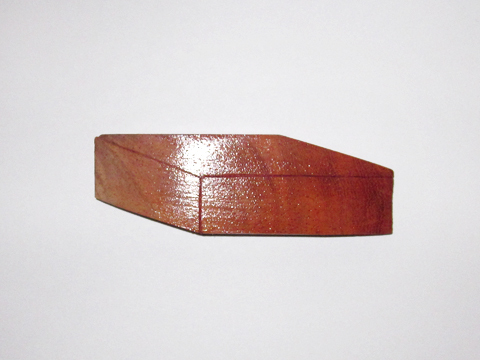 This entry was posted in Items and tagged accessories, clutch, COS, wood, wooden jewellery. Bookmark the permalink. Well, how cool is that?! Adding wooden details on your style, is a great way to define it! I’ve never really thought of adding wooden details, as I am a “jewellery person” and I adore wearing golden vintage jewelleries! But this idea? It sounds amazing.